Retail organizations have been using surveillance video as a valuable tool to combat shrinkage, which can account for more than 1.38 percent of retail sales for some US organizations, according to the National Retail Security Survey. Shrink rates are the result of increased shoplifting, employee fraud and organized retail crime, reaching $44 billion worldwide. Nearly 40 percent of North American retailers surveyed reported increased losses from organized retail crime. Nevertheless, there is a light at the end of the theft tunnel. Skimming, employee theft and identity theft are continuing threat vectors that can be minimized using sophisticated video analytics and IP camera technology. But your surveillance camera system not only helps avoid business losses, it is also a key component of business growth. 1. Study real customers with real products in real time. Can retailers really optimize marketing placements and determine that they made the best decisions? What changes would be made if a retailer could review customer behavior around special-offer products, such as whether they compared that item to another brand, picked up the item, or bought more than one product? Can any trend be identified based on customer behavior? Video analytics and plug-ins that identify demographic information allow retailers to monitor customer behavior. The data collected becomes important when considering promotions and in-store displays. The ideal approach is to use a surveillance camera system with sophisticated features that allow these capabilities minus countless hours of review, video search and more. Today’s intelligent video platforms make it efficient and easy. 2. Measure impressions for in-store marketing or promotions. Facebook and Google measure the effectiveness of social media with impressions. With quantitative and visual findings, video adds visual confirmation and application for retailing advertising and promotional campaigns. Using retail analytics that measure customer traffic and dwell time, retailers can track the increase in-store traffic due to an advertising campaign. Additionally, video can be used to measure how long a customer stands in front of a promotional display or end-cap, thus calculating impressions. These analytics can provide reports with data that can be correlated with point-of-sale (POS) information. 3. Optimize staffing by ‘seeing’ customers. Retailers continue to be frugal through challenging economic times. One of the highest costs for retailers is people — those who must provide top-quality customer service and increase sales. The challenge is optimizing employee and store-level resource allocation. It’s a relentless balancing act to know how many associates should and shouldn’t be in a store per hour, per shift, and per day. Retailers need advanced tools to best analyze their stores for overstaffing and understaffing. One answer: counting customer traffic using video from your surveillance camera system. On-demand, real-time video delivers a clear, substantiated picture of what’s happening in a specific store. Video, provided through an existing surveillance camera system from the ceiling and at the point of sale, shows you the exact traffic numbers, monitors queue lines, and sends alerts to store managers if prescribed lengths are exceeded. Based on accurate, real-time data, the manager can assign the appropriate number of staff per shopper. By having accurate counting data along with POS data, video end-users can calculate and measure the impact of a local promotional campaign. By combining the uses of analytics and business intelligence tools, line managers are equipped with the tools they need to improve daily decisions about staffing, pricing, promotions, replenishment and seasonal buys. 4. Reduce fraud with alerts and exception-based reporting. Loss prevention professionals are continually investigating potential fraud vs. errors from sales associates, vendors and others. The process may take months and can be lengthy and expensive. An intelligent surveillance camera system expedites the investigative process and offers alerts when “funny business” is identified. Ultimately, video adds accuracy and timeliness to loss prevention efforts. Alerts: Alert a team regarding specific types of POS transactions where fraud and theft are key problems. Alerts can be configured when certain transactions occur, or if sales transactions are not corresponding to programmed variables. These alerts are sent to the LP team, which can view and review behavior at a specific checkout line. System health monitoring: Setting up an alert that shares malfunction severities (low, medium and high), and what is and is not working, such as cameras or failing hard drives, helps a retailer avoid a major disruption. Imagine the dollar loss of a power surge that takes down the POS system and requires the store to close, then what? 5. Justify cost, lower total cost of ownership. Visual LP and merchandising are exciting and retail-worthy, but no retailer selects technology without a cost analysis. 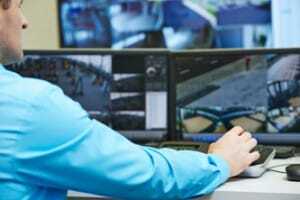 This requires a review of overall surveillance video system costs such as initial purchase, physical administration, operations, staffing, bandwidth, storage, and hardware/software upgrades. Additional costs can turn into a major loss if systems, drives or point-of-sale systems shut down. Surveillance camera system and IP video have brought security into a much-needed digital age. The proliferation of video has also resulted in organizations adding video management systems to manage video. When companies want to use video analytics for real-time business intelligence, they sometimes have to add hardware or pay for additional licenses. However, comprehensive platforms can reduce costs through their approach delivered on standalone video management software or on a hybrid appliance. Video, offering visually accessible store-level performance, makes marketing and merchandising more effective and quantitative. It’s a win-win: retailers gain the ability to leverage existing systems and already allocated costs to triple the value of the video technology. It’s a triple play — video for loss prevention, video for marketing, and video for merchandising — which positively impacts customer services and sales. This article was originally published in 2013 and was updated March 16, 2017.